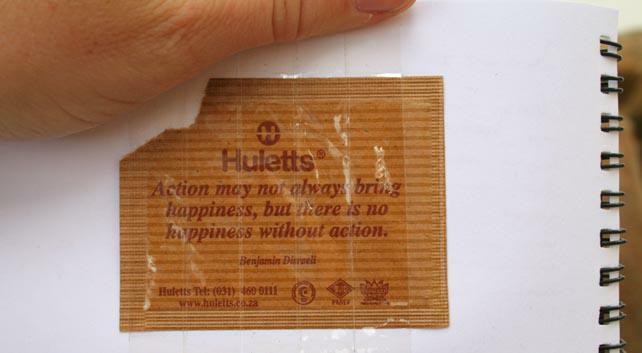 I love the small messages that come on the back of sugar packets. I have a quite a collection – some pinned to my pin board and some pasted into my journal. They always brighten my day or remind me to lighten up, smile and enjoy the simple things. 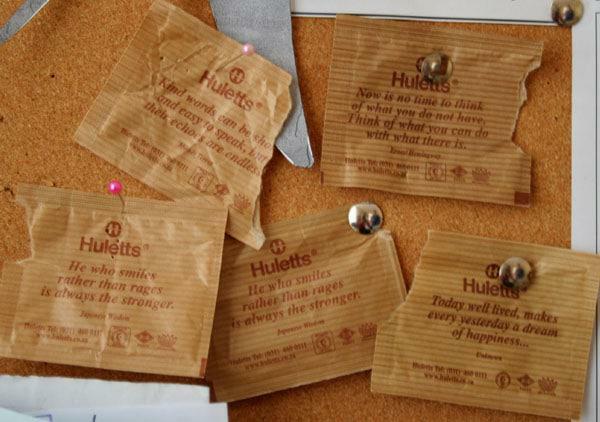 This entry was posted in Blog and tagged hulletts, motivational sayings, sugar, sugar packets, sweet. Nice messages !Have a nice evening! 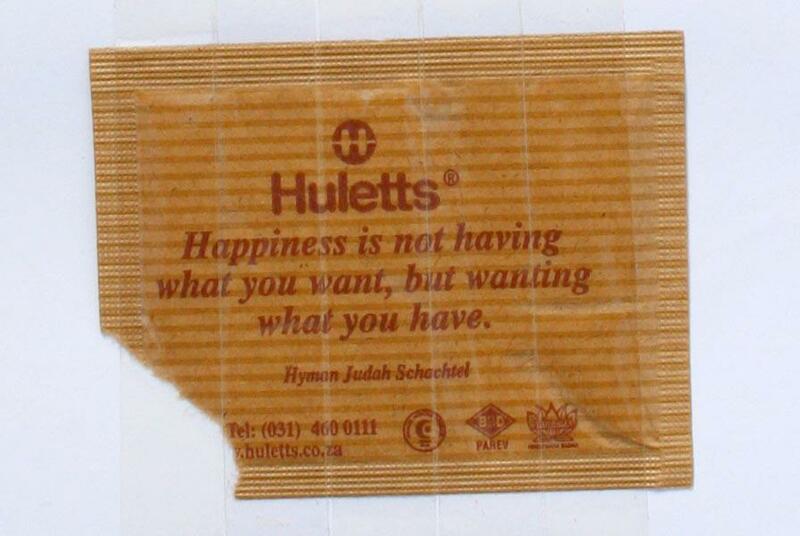 well, that is some philosophically charged sugar!!!! Or are they trying to divert our attention away from the fact that refined sugar is not so good for you? Maybe I’m too cynical.